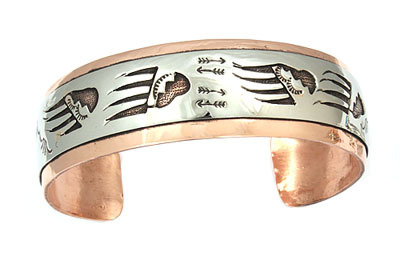 This bracelet is made out of copper with a stamped overlay native designs that is made out of nickle silver. 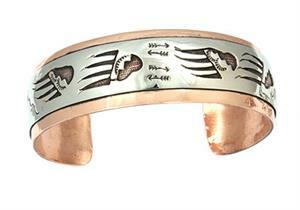 It measures approximately 3/4" wide and is made by Navajo artisan Thomas L. Begay. Currently available in roadrunner, bear, kokopelli or paw. Choose design when ordering.